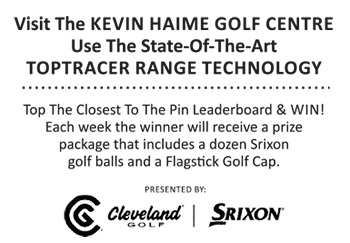 Since the inception of stroke play competition, the player is ultimately responsible for the correctness of the scores recorded for each hole on his or her score card. Essentially, your score card is a signed contract with the other competitors in the field, testifying as to what you scored on each hole. Bobby Jones once said: “Golf is a game where only the player can tell exactly what goes on; his word must be final.” That is until now! Prior to 2016, if a player signed for a score lower than what he or she actually made on a hole, they were disqualified. Period. End of story. Even if it was for failure to include a penalty, they didn’t know they’d incurred. However, with the introduction of a new rules code in January, an exception has been added to Rule 6-6d (Wrong Score for Hole), which modifies the disqualification penalty in limited situations to an additional two-stroke penalty. Rule 6-6d Exception: If a competitor returns a score for any hole lower than actually taken due to failure to include one or more penalty strokes that, before returning his score card, he did not know he had incurred, he is not disqualified. In such circumstances, the competitor incurs the penalty prescribed by the applicable Rule and an additional penalty of two strokes for each hole at which the competitor has committed a breach of Rule 6-6d. This Exception does not apply when the applicable penalty is disqualification from the competition. In layman’s terms, if prior to the close of competition you return your score card and you fail to include a penalty (other than a disqualification penalty) that you didn’t know you incurred, you’re assessed whatever the penalty is plus an additional two-strokes. For example, when playing the 5th hole your ball comes to rest in a bunker and there’s a stone immediately behind it. You mistakenly assume that the Local Rules permit the removal of stones in bunkers, so you remove it. You complete the hole, scoring a 4. Only after you’ve handed in your card do you discover that the removal of stones was not permitted. If the competition has not closed, you’d be assessed a two-stroke penalty for touching a loose impediment in a hazard (Rule 13-4) and an additional two-stroke penalty for failing to include that penalty in your score for the 5th hole (Rule 6-6d). Thus, you’d score an 8 on the hole, but you live to play another day. On the other hand, if the competition had closed, your original score of 4 on the 5th hole would stand. As mentioned earlier, this new exception is limited. If you’re in breach of a Rule for which the penalty is disqualification (e.g., playing from outside the teeing ground and not correcting your mistake before playing from the next tee – Rule 11-4), then the disqualification penalty stands and cannot be modified. Similarly, if you make an arithmetic error and record a lower score lower than what you actually made, you’re disqualified. However, if you error on the high side, then you have to accept the higher score even though it’s incorrect. More than ever, it pays to know the Rules! For more information on Rule 6-6d or any other Rule, or to purchase a copy of the “Rules of Golf” or “Decisions on the Rules of Golf”, please visit Golf Canada at www.golfcanada.ca.